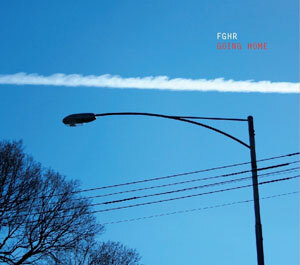 FGHR carries the delicate serenity of its previous album, Stationary, into a wide-screen landscape with Going Home, where sounds are lush enough to sink into, sadness is never desolate, yet there is much energy and lightness of being. In 13 original instrumental compositions by members of the band — Darryn Farrugia (drums, percussion), Leonard Grigoryan (guitars, voice), Luke Howard (piano) and Ben Robertson (bass) — the mood is untroubled and unflappable. Grigoryan’s intricate fingerwork and Howard’s delight in higher octaves create flights of fantasy that take off to explore, gliding across gently melodic vistas in sound. Re: Song I Knew and Affirmation. Anthony Schulz on accordion adds a wistful quality to Howard’s contemplative Redsette. Going Home is a perfect reverie — a daydream in which it is pleasant to be lost in thought.